The park's landowner hasn't paid the water bill, leaving frustrated residents high and dry. 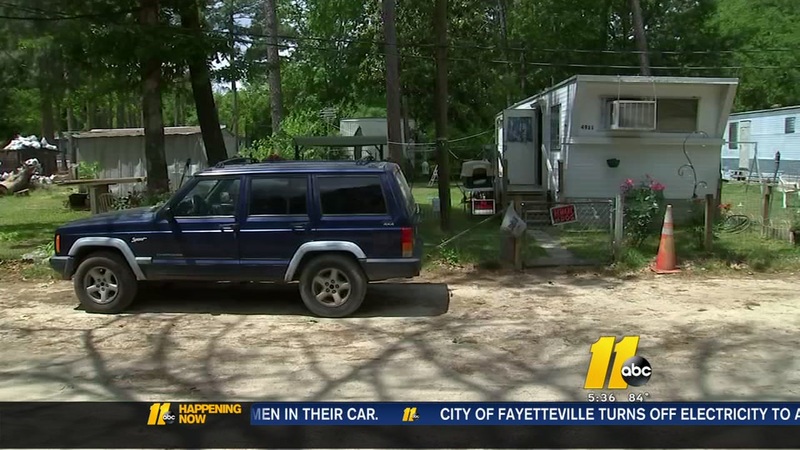 SPRING LAKE, NC (WTVD) -- Cumberland County residents living in a mobile home park have been without water for five days. The park is located in Spring Lake right next to Fort Bragg's Pope Army Airfield. Residents said they watched as the water meter was not only turned off but removed. It's something they can't understand because they say they paid their bill. "I paid my rent. The water bill is included with the rent," said resident Edward Greshan. He said residents who live there own their mobile homes, but rent the land. They are fed up. "I am frustrated. I feel like I've been fighting a war. And I've been in a war," Greshan said. The community is made up of disabled veterans, such as Greshan, as well as diabetics, and families with children; all of whom are living on fixed incomes. The City of Fayetteville cut power to nearly 37 residents after several warnings to the property owner to fix what city leaders described as significant safety issues regarding the subdivision's electricity pad. They've been buying water by the caseload to supply their family needs. "We've been taking the clothes to the laundromat and driving to Fayetteville to go to a friend's house to get a shower. Things of that nature. You're not trying to wear out your welcome at one place," said resident Aneca Glover. The Spring Lake town manager told ABC11 that the owner of the property, Sherman & Hemstreet, owe more than $60,000 toward the water bill. The last payment of $8,000 was submitted in January of this year. Residents received a letter in the mail last week that told them the water will be shut off - and to please vacate. "We're getting pushed around. It's not fair," said Glover.